Once you get this thing worked out, its pretty neat. 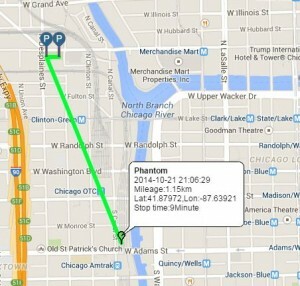 Out of the box it provides automatic historical location tracking, with position history plotted on a Google map. At any time you can manually request its current position by sending it a text, or by using the included iPhone app/Android app (more info about these coming soon). 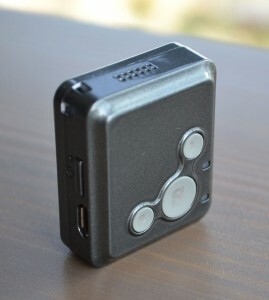 By default, the device will automatically record and upload its location every 10 minutes. To maximise battery life, the GPS chip inside will “sleep” in between those 10 minute intervals, waking for 30 seconds to obtain and upload a position, before going back to sleep. 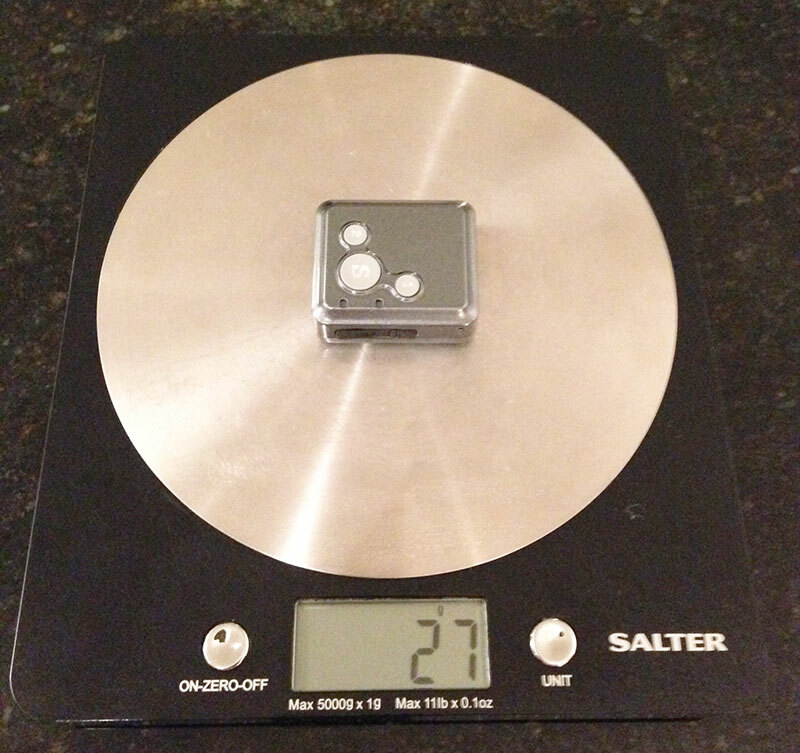 The GPS chip utilizes GPRS and Assisted GPS, in order to expedite the process of obtaining satellite information. For this very reason, it is important that your SIM card includes a data plan. My device was only able to provide an inaccurate LBS position until I enabled data on my SIM card, at which point it became nicely accurate. 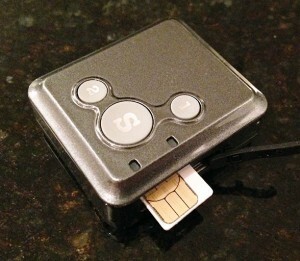 The RF-V16 uses GPRS to send and receive data. A 2G, or 3G, or even 4G SIM card will work, but only a maximum of 2G is used. I chose T-Mobile as my carrier – their SIM card supports 2G automatically, which operates at 850MHz/1900MHz on the GSM network (other carriers are presumably the same?). This is perfect for the RF-V16 because it is a quad-band device which uses 850/900/1800/1900MHz. T-Mobile also confirmed to me that their SIM card can be used in GPS tracking devices. I use their “pay by the day” package – it’s $2 for unlimited 2G data for each day that you use. 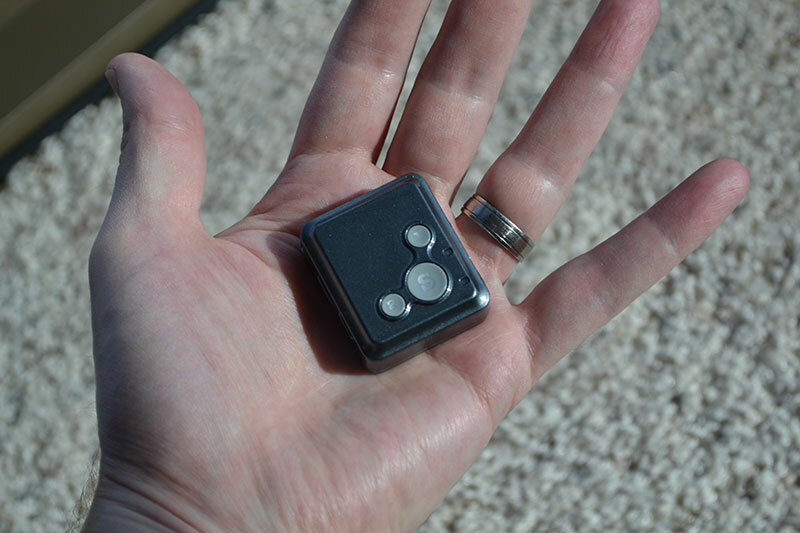 I only use my RF-V16 once per week, attached to my quadcopter, so it’s $2 for peace of mind that I’ll be able to find it if the worst happens. I know there are cheaper data plans out there, but I haven’t researched them yet. Do what works best for you, in your home country. You need to buy your SIM card, activate it, and manage the funds etc. I used an iPhone 4 when doing this because it supports the same size microSIM card as the RF-V16. When activating the SIM card, T-Mobile will ask you for the IMEI of the device it’ll be used in. 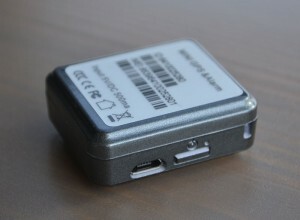 The RF-V16 has its own IMEI, shown on a sticker on the back of the device. I didnt supply this to T-Mobile and it didn’t seem to make a difference, so I’ll leave it up to you to decide on whether to do that. The microSIM should be inserted this way up. Push it in, and it’ll “click” into place. Push it in again to release. A magical tune is played when starting up. A “progressive build-up” tune is played when shutting down. When you plug in the charger, the device will shut down without playing a tune, then it will restart, play the magical tune, and start charging. The light on the charger is red when charging, green when finished. If you have a tune constantly playing while charging, this is because the device is rebooting over and over. To prevent this, make sure your SIM card is installed while charging. All commands sent to the device must be appended with a # symbol, otherwise they will be ignored. Also, don’t use spaces in any of the commands as they’ll make the command invalid. You can assign up to 5 users (phones) which are allowed to communicate with your RF-V16. These users should have the following usernames: sos1, sos2, sos3 etc. You can then use the command 123456,sos3,075*******0# to activate a new user. Text dsp# to your device and it’ll reply with a status update letting you know which features are switched on or off. It lets you know the GSM signal strength, and confusingly the GPS signal strength. It’s confusing because, as I mentioned earlier, the GPS is only awake (valid) for 30 seconds every 10 minutes, or when you manually request the location. So don’t be concerned when you see “GPS Signal: Sleep” in the status response – it’s normal and saves battery life. The minimum time you can set is 1 minute (tim,1#) – on this setting, the GPS never goes to sleep and battery life is greatly reduced to around 5-6 hours (according to the manufacturer). You do not need data on (gon#) for the RF-V16 to function correctly, having data on means the position is periodically uploaded and stored online. If you simply want to query the device for its location on demand, turn data off (goff#) and just send a text (dw#) whenever you want. The “data” mentioned here is not to be confused with having a data plan with your SIM card, that is definitely required. You can call the RF-V16 and it will play a tune loudly. This can be helpful when you’re nearby – you can listen out for the tune and locate the device if it’s attached to a quadcopter, for example. You should deactivate voicemail on your SIM card, otherwise it’ll stop ringing. There is also an SOS button on the device, so it can call you. You can also have it auto-answer incoming calls so that you can listen in to whatever is around the device. 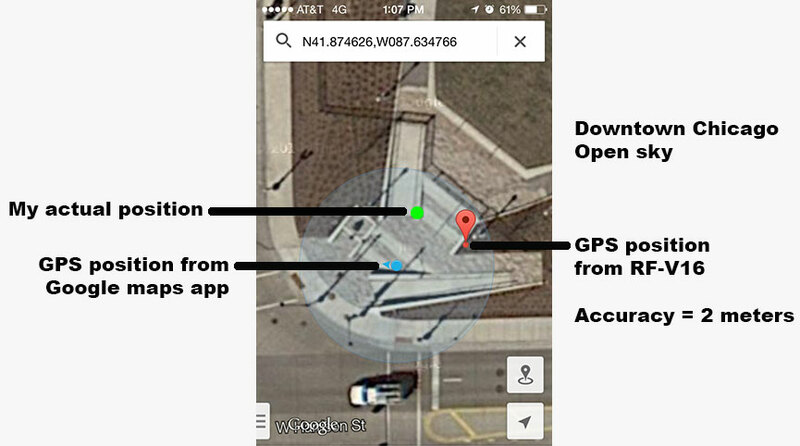 www.gps123.org is where the device uploads its position. You login using the ID number on the back of your device and the default password (123456), or your own pre-selected password. Here you can setup geo-fencing, playback, device statistics, device management, reset your password, and view historical data. It’s all good, but not really required for basic tracking. All you need is to send a text message to the device, but do take a look anyway. Let me know in the comments if you find a better price. I am not associated with RF-GSM Technology Co in any way, and I was not sponsored or paid for this review. Thank you to my wonderful wife for proofreading this post!